Light. Comfy. Simple. And a deal to get 40% off! 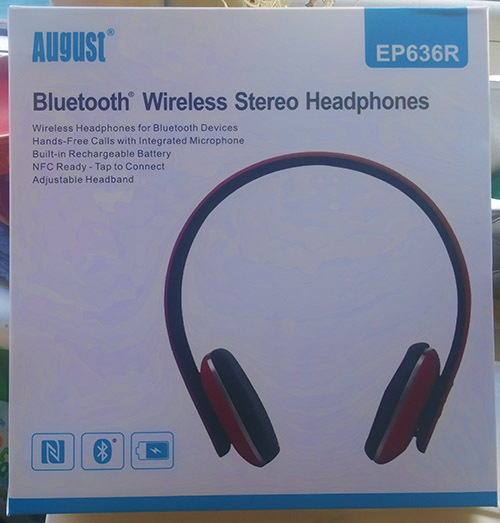 The EP636 Bluetooth Headphones from August (RRP £34.95) are a slim Bluetooth / Cordless Headset with Wireless Microphone designed to cut the wires from your life without compromising on sound quality. As someone for whom music, and high quality reproductions of music, is incredibly important, I was keen to put these headphones to the test and report on the outcome. I love the idea of using wireless headphones at two particular times – exercising and commuting. Even though my exercising consists of pedalling away on an exercise bike, it’s not something I can do with wired headphones on and a phone balancing on the bike. It simply doesn’t work. Similarly, trying to listen to music while walking through Glasgow to work, or when getting on and off the train is awkward with wired headphones, and a lead going from my head to my phone / pocket. I get tied in knots. The headphones are a paltry 126 grams in weight and come in four colours. They have a micro usb socket for charging – the same sort that you get on android phones, tablets and many other devices. They come with a lead which allows you to charge through a normal usb port. The ear pads are soft and have a lot of flexibility, which aids comfort. The controls are above the right ear phone. A simple multi-function button operates as a power switch, and your normal playback controls surround it. There is also an in-built microphone. Connecting the device to my phone and my laptop was straightforward. As a fella who has had issues in the past with Bluetooth incompatibility, I was happy that the connection happened with no problems whatsoever. The sound itself is well rounded and pretty faithful to the mix. I don’t like headphones which artificially readjust or distort a mix making it too bass heavy. 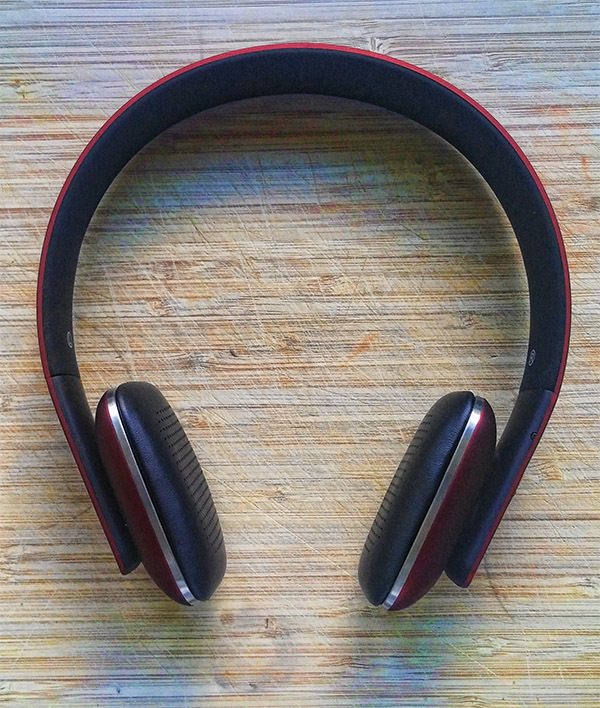 The headphones have a 20mw speakers and can operate up to 10m from the device it is connected to. It takes 2 1/2 hours for a full charge which can then provide 12-14 hours playback, or 480 hours(!) on standby. They also have an in-built microphone making them suitable for taking phone calls when you’re connected! These are a light pair of headphones with decent sound quality for a respectable price. My one regret is that they don’t have the legacy option to plug in a lead to use with older, non-bluetooth equipment (although August do sell a device which allows old devices to being able to broadcast bluetooth signals). Still, a nice set for those looking to ditch the wires! Get 40% of a pair of August EP636 headphones here! It’s a ridiculously generous deal which makes these headphones a great bargain.